I was even more disturbed to see that there is absolutely no mention in the title, subtitle, condition overview, or main description, of the obviously replaced pickups and missing scratch plate! Plead ignorance if you like, however as he’s had two other models (which were original and complete by all appearances) for sale, you’d expect these rather significant factors to be noticed and commented on. There is also absolutely no mention of any fretwear, drastic or unnoticeable, and there’s no close up photograph of any section of the fretboard to give the buyer any indication whatsoever as to the condition of the frets. Considering these guitars are over 30 years old, you have to expect there to be fretwear. However you cannot possibly make a decision on the price if there’s the possibility of having to recrown or even replace the frets. The combination of these things alone clearly identifies either a scam, a misinformed seller, or someone who just doesn’t really care. If I were buying, any of those possibilities would push me away very, very quickly! The cherry on the cake is the price… Considering an original SF500 with similar scratch patterns and no case can sell for as little as £250 in the last year or so, I’d expect to see an optimistic “Buy It Now” price of up to £300. Maybe a bid starting at £250 if he was brave. But £485?! No chance. The only case in which this would be acceptable based on recent sales history, would be if this was the first one seen on eBay in at least a year, if it was all original, and in better cosmetic condition (note the nasty dents on the rear of the neck, photograph #4). With the case would be nice, but it wouldn’t be unreasonable to sell one like that for over £500. I’d personally value this guitar at an optimistic £250, assuming the replacement pickups (notice there is no mention of what pickups they are) were of a reasonable quality when compared to the originals. If jaysgrocker2000 happens to read this, please take note of some of these points. Not only will it make you more likely to get a sale, but some sucker is going to get well and truly ripped off if they buy at that price! ← Which One To Buy? 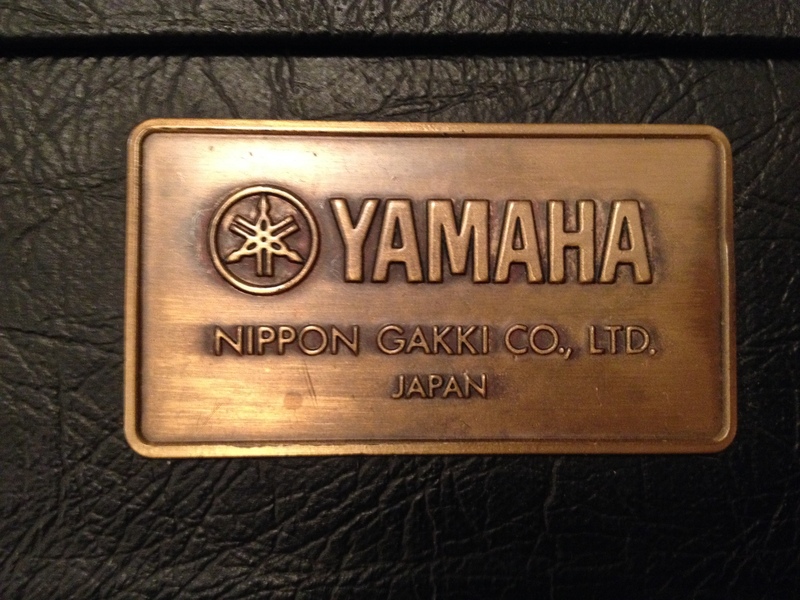 This is Jaysgrocker2000 here, ……..first of all thank you for taking the time to review one of my eBay postings regarding one of the great and greatly underrated guitars that the Yamaha Superflighters are. I have read your discussion regarding pricing and must say that the perception of ” price of an item ” wether it is in a shop or on line, is a very subjective matter. I believe that my pricing on either eBay or on my own SG and other models web site http://www.elitevintageguitars.com is fair and balanced. Pls do check the buyers’ feedback on the website itself or go to my sold items eBay feedback listings. EBay pricing seems to become higher in respect of the 10% fees it levies on sold items in addition to the PayPal fees of around 3%. With respect to the SF500, I have recently sold one for a similar price and received positive feedback from the buyer. On your website you discuss the relative values of a variety of SF models and must say I do agree with the fact that they seem to be cheaper than some SG models, possibly due to guitarists like Santana, Bill Nelson , AlDiMeola, Stuart Adamson and more…who made the SG a household name in bygone years…..
Firstly the obvious modifications to the guitar, the pickup change, that was neither addressed nor identified. Although the build quality of the guitar is well known, it’d be very hard for a potential buyer to assess the sound quality accurately without knowing what the pickups are. I know that an awful lot of people the pickups in these guitars, but that should never be assumed. I was also, as mentioned in my post above, alarmed to see no reference to the fret condition or actually anything specific to the guitar in question. Personally, I wouldn’t dream of buying a guitar blindly that was over 4 or 5 years old if there was no analysis of the fret condition as that is the biggest contributing factor to the playability of a guitar. When looking at a guitar of over 30 years old, there’s every likelihood that the frets are in a questionable condition, so I would expect some kind of description even though it may be difficult to assess. Regarding the similarly priced SF500 you recently sold, I’d point out that from what I could tell from the photographs, that was in slightly better condition and was fitted with all original hardware. For me, it’s the doubt in specifics with regards to playing condition and hardware upgrades that make it difficult to justify the price of this particular model. My advice would be to identify the pickups in your description, which I can see you have now edited the listing to mention briefly. If there’s any kind of marking on the back of the pickups, it would certainly be worth noting the brand and model if at all possible. The only thing that would still concern me is the lack of information on the fretboard condition. I can’t pretend to be an expert on the values of any other series of guitar so I can’t really comment, but it does appear that your other guitars for sale do appear to be of a fair price based on what I’ve seen of the current market. I think that is one of the reasons I was so surprised to see the asking price of the SF500. Good luck with the sale Jay, I hope it makes another very happy Super Flighter player! Ps, have you seen the latest SF7000 on my blog? I’d be happy to Jay, seems to be quite a wide variety of guitars you deal with! I hadn’t spotted the SF7000 there, quite an interesting one indeed. You appear to still have two SF1000s listed, are they still available? By all means send me a message on the contact page with any information if you’d like me to post any adverts on this site. Cheers for that, there are indeed 3 higher end Yamaha SFs for sale, the 2 Yamaha SF1000 (1978, Natural wood and Oil stain/sunburst) and the thru body neck Yamaha SF7000 with push-push coil tapping on the 2 tone pots. Any photos, am happy to supply them…..